A freshman who led Lincoln Memorial defensively and from the service line in a sweep is earning a college men’s volleyball award for the first time in his college career. Off the Block announced Monday that outside attacker Johansen Negron was selected as the Off the Block Independent Teams Player of the Week. Negron finished with both a team-high four aces and eight digs as Lincoln Memorial swept Quincy on Saturday. 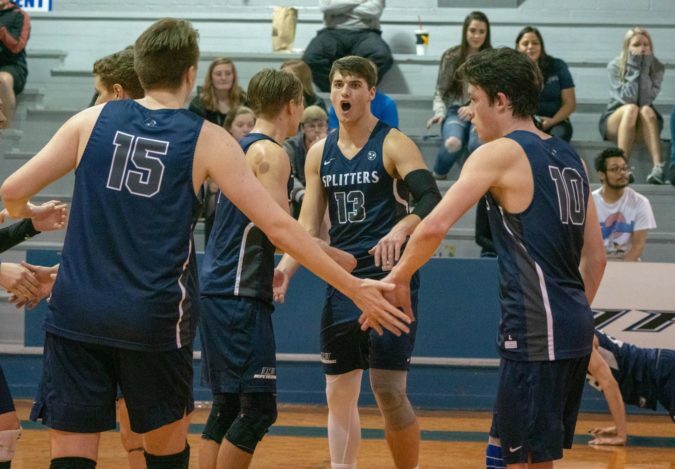 He also added seven kills and did not commit an error on a team-high 17 service receptions to help the Railsplitters remain undefeated at home this season. Negron is the third Railsplitter to win the Independent Teams Player of the Week award this season. Opposite Evan Cory has won the award five times, while middle attacker Pedro Carvalho has also received the honor. The Independent Teams Player of the Week recognizes the best player during the week from NCAA Division I-II men’s volleyball teams that are competing without a conference affiliation. The five independent teams this season are Alderson Broaddus, Coker, Daemen, Lincoln Memorial and Queens. Off the Block determines the Independent Teams Player of the Week based on a variety of factors, including a player’s individual performance and how a player’s team fared during the week. The winner of the Independent Teams Player of the Week is unveiled every Monday during the regular season on the Off the Block website, offtheblockblog.com. Off the Block is a national award winning website that started in 2011 and is the nation’s leader in college men’s volleyball coverage.